Watch this video and prepare to drop a load in your pants. 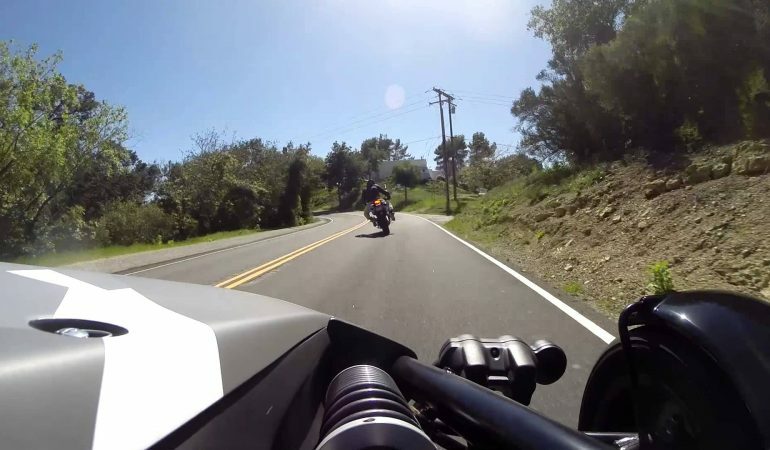 Not only is the foreplay of the two motorcycles tearing up a windy country road consisting of one blind corner after another mighty fine, it ends with a (almost) bang when one the bikes speeds around a corner to (nearly) smack right into the big old rear end of a BMW that is resting at a dead stop in the middle of the road. 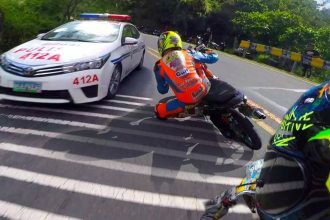 Somehow, the rider is able to skip his way around the obstacle in Poser Road with the only injury coming to his briefs. Hopefully all three of the peeps in the vid have learned a lesson. 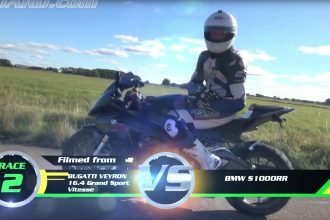 Can BMW\’s INSANE S1000RR Defeat Bugatti\’s MIGHTY Veyron Vitesse?